If a Lakewood Colorado company has their way, this could be your last Independence Day holiday spent squeezing down a narrow aircraft aisle to your preferred middle seat. Any business traveler will tell you, there is nothing glamorous about flying. The only thing worse than an oversold flight is the despair of finding middle seats are all that remain. According to the company, the increased aisle width could result in a 25% increase in boarding speed which translates to a $700,000 per day savings for the airlines as the planes would spend less time on the ground idling and using fuel. 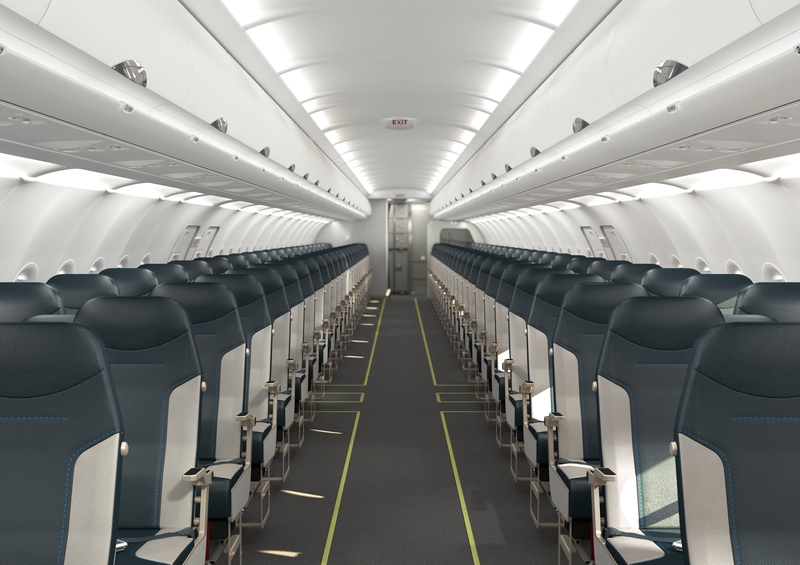 Increased aisle width also offers passengers easier access to the overhead storage without having to reach over seats as well as the room necessary to pass by other passengers standing in the aisle. The new design does necessitate a new boarding procedure however – filling seats from the outside-in (window to aisle) in addition to back to front. The configuration of the Side-Slip Seat also offered the company an opportunity to positively address the dreaded middle seat. In order to achieve the clearance required for the moving cantilevered seat, the middle seat was disposed slightly lower and backwards. An additional 3 inches could then be added making the middle seat 21 inches as opposed to the typical 18 inches. Sitting in this position also offsets the passenger’s shoulders from their neighbors granting extra clearance at a traditional choke point. Engineers at Molon Labe Seating have certainly captured innovative thinking into an interesting design with the Slide-Slip Seat. The thought of the extra room in the middle seat could be enough for me to give it another try on a future flight. It’s ultimate success relies upon the public’s willingness to accept a new boarding procedure where those on the aisle have a statistically higher chance of finding no room for their carry-on bags. Getting to a wider seat faster certainly seems more attractive, but not yet glamorous. What improvements would you like to see in airline travel? Tell us about your quest for unconventional knowledge and what it could mean for the future of your products or companies. Share your thoughts in the comments section below and don’t forget to follow us on your favorite social media channel.